Never have I ever tasted anything like this, it is AMAZING. The smokiness of this chocolate just envelops your senses as you eat it. Wow. Just wow. 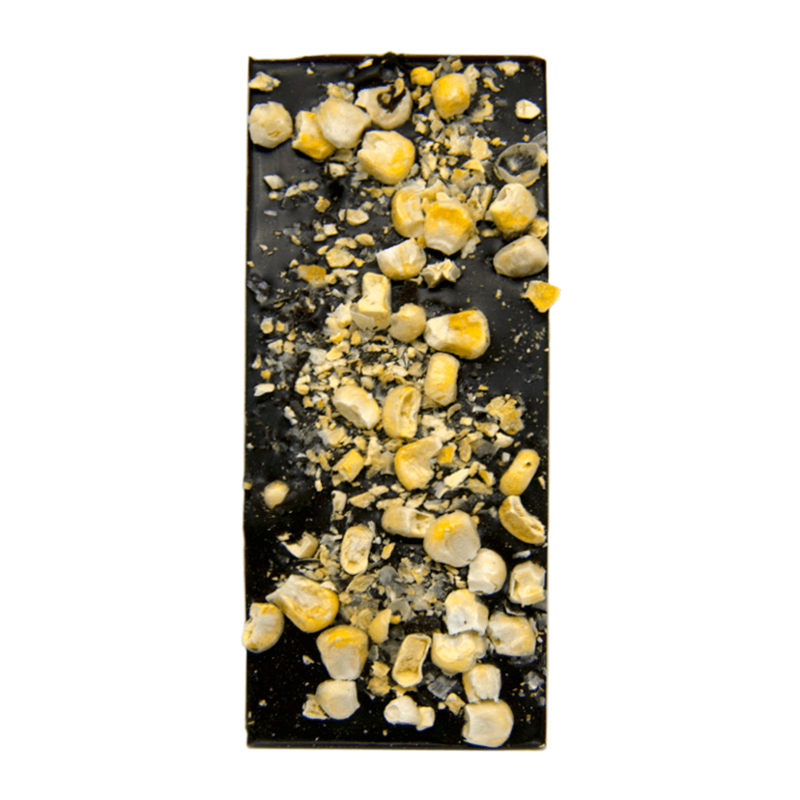 The Smoky Corn on the Cob Chocolate Bar is one of the best bars I’ve ever tasted. EVER. 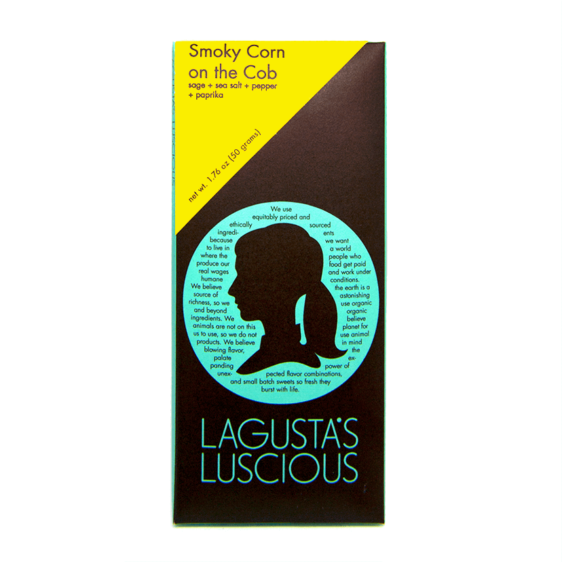 With the perfectly balanced blend of creamy/buttery, smoky, peppery, salty, sweet and spicy – all enveloped in Lagusta’s deluscious chocolate – each flavor really shines through. (An added bonus was the brief ability to sing in dulcet tones as my taste buds rang out in perfect harmony.) 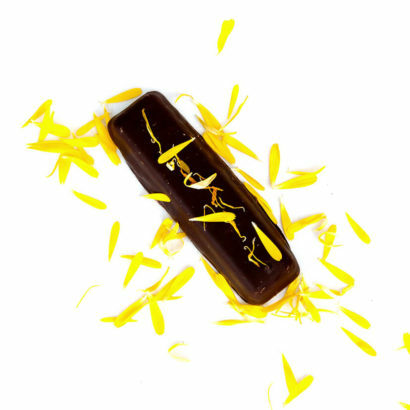 Somehow, you have magically managed to conjure the chocolate-cover-ed essence of a summer barbecue…and I can’t thank you enough. Perfection. 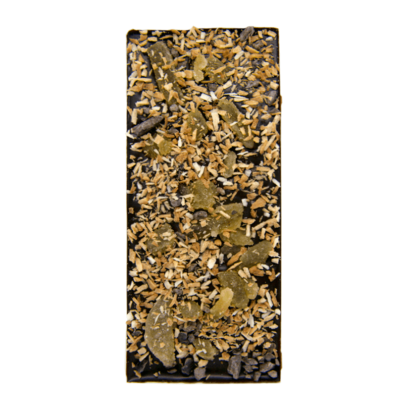 Organic and fair trade chocolate (cocoa paste, cocoa butter, vegan sugar, soy lecithin, vanilla), organic corn, smoked paprika, smoked sea salt, organic smoked pepper, homegrown organic sage. One of the best things we make. Not the same as being a bestseller (side eye at Turtle Bar here). But it’s how I measure the relative merit of a human being and that’s something, right? Do you like chocolate bars that are exceedingly savory, polarizing, salty, and kind of remind you of a summertime barbecue when you’re vegan and go crazy on barbecued corn not because it’s “all you can have” but because “summertime corn makes life worth living”? My friend Natalie, who I once tried to give the chocolate side of the business to because I was really burnt out and happened to have a whole other business going on at the time but that’s another story, is a food scientist and amazing chef. She also talks faster than me, WHICH IS SAYING SOMETHING. I was at her house for a barbecue a long time ago and I came home with smoke in my hair and had the idea for this bar and the next day I made it and that was 2010 and now Natalie has two kids and I have the chocolate business still and I still love this bar. I give one to Natalie every time she comes in. Her kids hate it and would prefer a turtle. OK so: organic freeze-dried corn, smoked sea salt, smoked paprika, smoked black pepper, and homegrown sage, embedded in a base of 66% dark chocolate. Miles of deep summery smoky flavor brightened with freeze-dried corn bits. We buy smoked salt and paprika and pepper than re-smoke them again (cold smoking, love of my life) for the best smokiness ever. 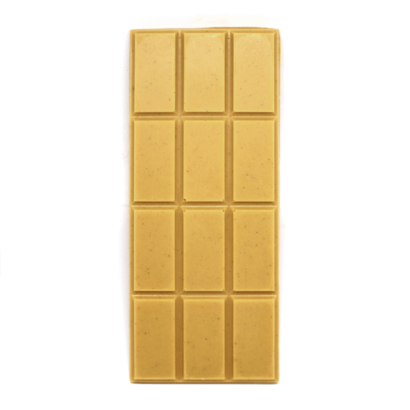 I’d like to smoke the chocolate for this bar (easy! Cold smoking!) but logistics have decided that that “makes no sense.” Buy this bar anyway!